Okay, this big baby ain’t for everyone. But if you want to feed an army and you like to move around, this rig is for you. Whole hog, anyone? 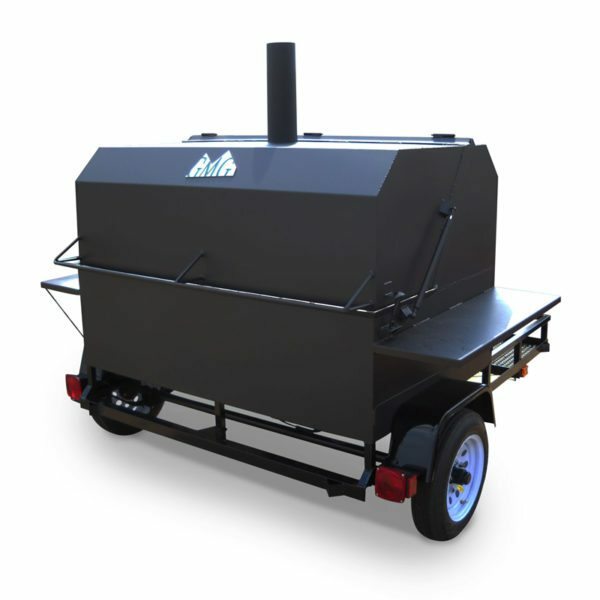 Pig Rig has WiFi Smart Control and comes with a custom built trailer that is compliant to all Australian trailer specifications. Note : Pre order only Australia. Stock located in Melbourne. Freight charged. As a rough guide when cooking at a low and slow temperature of 110°C the Pig Rig will use an estimated 2kgs of pellets an hour. With the hopper able to hold 100kgs of pellets, thats a long cook time!